What Happens to a Parent’s Child Support Obligations After Death? Most Florida parents do right by their children. Unfortunately there are cases where a non-custodial parent fails to meet his or her child support obligations. If that parent dies and still owes back child support, the question naturally arises, does the custodial parent–or the child themselves–have the right to seek payment from the probate estate. This means that if you are a custodial parent, and the non-custodial parent owed you back child support at the time of their death, your claim against their estate takes priority over most unsecured debts, such as credit cards or other unpaid civil judgments. The estate is legally obligated to pay you the back child support, but only if there are adequate financial resources to do so after all higher-priority claims, such as the deceased parent’s funeral and final medical expenses, are paid in full. 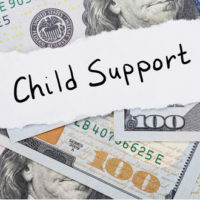 Note that if the non-custodial parent declines to file a claim against the estate for back child support, the child may actually do so in their own name, assuming they are at least 18-years-old. Does a Trust Shield the Parent’s Estate From Child Support Claims? Now you may be wondering what happens if the non-custodial parent chose to place all of his assets into a revocable living trust, thereby bypassing probate. Although a revocable trust may help you avoid probate, it does not shield you from creditors. To the contrary, Section 733.707 explicitly states that any trust that is revocable by the grantor at the time of their death “is liable for the expenses of the administration and obligations of the decedent’s estate to the extent the decedent’s estate is insufficient to pay them.” But if the trust was irrevocable–that is, the parent surrendered any right to revoke or change the terms of the trust–then the estate’s creditors cannot touch those assets. Is the Parent’s Estate Liable for Future Support? A final question that often comes up is: Can the estate be ordered to pay additional child support going forward? The answer to this is “no.” Death typically ends a parent’s obligation to pay any further child support. The estate may only be pressed to pay unpaid support that was due up to the moment of the parent’s death. Again, most parents do not actively seek to avoid child support obligations. And good estate planning can actually help you provide for your children long after you are gone. If you need advice from a qualified Fort Myers estate planning attorney, contact the Kuhn Law Firm, P.A., at 239-333-4529 to schedule a free consultation today.